Imagine you automated a paper-based process at your company, only to find that after implementation, the process took more than twice as long. Would you be happy? That’s what is happening with the Department of Homeland Security’s (DHS) U.S. Citizenship and Immigration Services (USCIS). For a number of years, the division has been working on a system called Transformation that is intended to automate the processes required to grant immigration and citizenship benefits. But according to a recent report from the DHS’s Office of the Inspector General (OIG), it’s not working very well. This isn’t the first government agency to run into this kind of problem when it attempts to automate a large, complex, paper-based series of processes. Most notably, we’ve seen it with the Veterans Administration, as well as with the civil service retirement system. (Not to mention Obamacare’s Healthcare.gov.) And depending on which political hobbyhorse critics are riding, they might blame it on those new-fangled computers instead of trusty paper, or on how the government shouldn’t be involved in the IT business anyway. Unfortunately, it’s usually a lot more complex than any single factor. In the case of the USCIS, the project—known as the Electronic Immigration System, or ELIS (like Ellis Island, get it? )—has been underway since 2007. The costs would have ballooned from an original $491.1 million to an estimated $3 billion if the USCIS hadn’t changed course for phase 2. (The system is paid for by immigrant fees, not taxpayers. Nonetheless, the first phase of ELIS was completed in 2012, and the OIG report lays out what staffers think about the Transformation system. At this point, foreigners can e-file nine forms. So why does processing the electronic forms take so long? It takes from 100 to 150 clicks for staffers to move along sublevels and open documents. The system doesn’t support tabs and highlighting. The staffers’ reports require access to documents, which have now been digitized in an Electronic Document Management System (EDMS). That means that the physical documents don’t have to be shipped around, but each one is in a separate file. Staffers can only look at one document at a time, and it can take 30 seconds or more to load each one. Although the documents have been digitized, the report indicates that they are not searchable. The names of the files don’t always accurately reflect what’s in them, and documents are sometimes “buried” in a larger file. Staffers hate working in EDMS and ELIS, and avoid it because of how frustrating it is. They’re also concerned that using the electronic systems will affect their productivity. Unfortunately, that means when staffers do have to use them, they’re unfamiliar with the systems, and might not know about new features or improvements. ELIS started the second phase of its development in October 2013 and is scheduled to be completed by the end of this year. The update will supposedly make the user interface easier and streamline the number of clicks required to do things. The original was wonky because it used 29 (!) commercial software packages, which were difficult to integrate, according to the report. The new version incorporates a more flexible architecture. A different development approach should also help. The first version used the Waterfall style of development—which entailed developing the whole thing at once and then seeing if it worked. The current version uses Agile development, which puts the system on a four-month development cycle and then updates it. This is intended to make it easier to know how the project is progressing, rather than having to complete it before finding out it doesn’t work. The second phase will also save the agency money. Instead of costing the aforementioned $3 billion, it is now slated to cost about $1 billion. Moving to an electronic system isn’t a panacea, but there are things the USCIS could do with the process and the system to make the transition easier. Design the business process first to reduce the number of clicks required by staff. 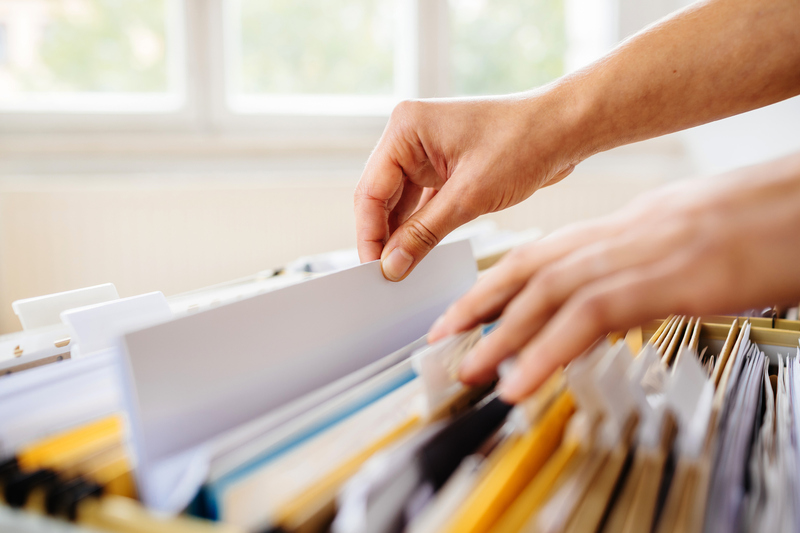 Include all documents in a single electronic folder that just gets opened once. Include an index in the folder with all the documents in it, clearly labeled so staffers know where the information is. Save the documents as text files so their data can be searched, or use OCR to extract text from the images to make them readable. At this point, the biggest problem could be staffers’ fear and distrust of the new system. Change is hard, even when it’s an improvement, and by all accounts, this system isn’t an improvement yet. That’s why it’s also a good idea to implement change incrementally, so employees have a series of small successes to build on rather than big failures to scare them away. While the Agile development process should help with this in the second phase of development, it may be challenging to change staffers’ initial impression.